Tariki Limited is an authorized distributor for Tagawa Sangyo Co. Ltd.
Tagawa Sangyo Co. Ltd. produces Shikkui Surface Coatings, traditional Japanese hydrated lime plaster, and Limix non baked tile that deliver a natural lime plaster system for walls and ceilings and can achieve a full range of traditional and modern finishes.Tagawa Sangyo Co. is a C2C silver certified company. Tariki Limited LLC was the catalyzing force to encourage Tagawa Sangyo Co. to go through the C2C certification process. Shikkui coatings are zero-VOC and non-toxic. These coatings are highly porous and naturally antiseptic, so indoor air quality is actively improved for healthier spaces. All C2C products manufactured by Tagawa Sangyo in Japan under strict C2C requirements to protect the quality of human health. 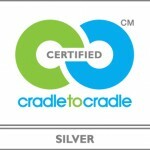 All Shikkui products are Cradle to Cradle certified (Silver) by MBDC for a higher standard of healthy and environmentally-responsible design. There are five categories of criteria for certification which were designed to align with the Cradle to Cradle principles: Material Health, Material Reutilization, Renewable Energy Use, Water Stewardship, and Social Responsibility. In order to achieve certification at a certain level, the product and manufacturing processes must meet the criteria at that level in all five categories. This certification is awarded only to products designed with the health of people and the planet in mind. See detail here: http://shikkui.com/C2C.html. Tagawa Sangyo Co. is currently working towards gold certification.